FamilyVsState.org Letter -- Utah mother (& husband) from Honored Family accused of ?Negligent Infanticied? is NO problem at all! in the ridiculous Utah State Division of Child and Family Service's (DCFS) administratively defined charge, manipulated as their "politically correct" equivalent to "Negligent Homicide"!!! 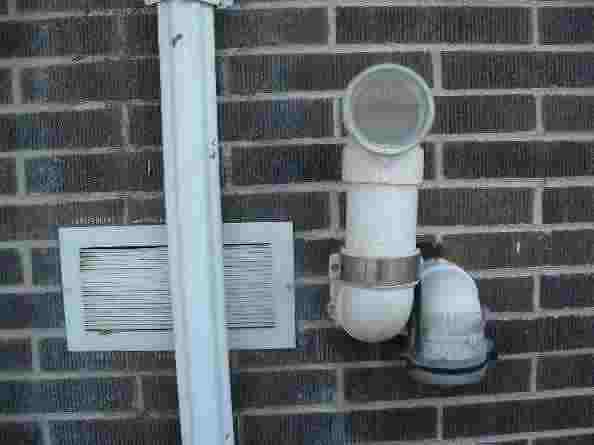 Incompetent so-called "Professionals" have allowed a Furnace Exhaust Installation Violation to kill this child! -- and left it undisclosed!, un-investigated! and un-remedied! to injure and nearly kill his brother! -- as well as harm his mother, his two sisters , his father and their visiting family and friends! So this real child killer -- left to spew its subtle toxic Carbon Monoxide (CO) burden Only 10 inchesaway from a fresh-air-intake opening into this family's home (also near bedroom, playroom, living room windows and front door) -- still today, is intentionally ignored, as these (above listed) aiding-and-abetting, profiting opportunists cloak their own ignorance, oversight and errors in their combined bureaucratic immunity and behind their medical and legal sophistry, all to perpetually enrich themselves upon this innocent family's income! -- and our Public funds! So rejecting and hiding the truth -- these bureaucratic, medical and legal opportunists, along with the true malfeasants, are left free to get away with it! -- while "we", and this victimized family, are required to pay them extravagantly for it! Then, can you believe it? - These same so-called "professionals" and bureaucrats -- the Assistant State Medical Examiner (ME), with DCFS, SHF, UofU-Med.Center, PCMC, the AG, two Juvenile Judges -- even the family's own first "Defense" Lawyer(s) -- in self-protecting contempt -- acting with and exploiting the original accusatory, nutritionally confused and contentious relative(s) -- in their (now obvious) derelict performances of misguided diagnosis and investigations in unprofessional, even hateful, bias -- resorted to immoral deflection from their mistakes and responsibilities, and blamed this innocent Family in their conscientious, healthy diet choices instead! A stupidly irrational charge in reality! as this couple had very carefully chosen, intelligently studied and understood their scientifically supported diet choices. -- The same diet choices that are followed by more than 30 million intelligent people in the USA alone! (particularly the health and appearance caring film and media performers, precision athletes, and savvy physicians and scientists -- e.g. Dr. John McDougall, Dr. Dean Ornish, Dr. Lorane Day, Scott Hamilton, Jack Lalane, now our own Utah Jazz, Frank and Barbara Laden, etc.) and is experienced and documented (Cornell University, AMA*, ADA*, etc) as the best whole body, health renewing and full lifetime, cholesterol and disease free, heart-healthy diet -- as well as the best nursing mother, growing child and adult, human physiologically matched nutrition program (Harvard Univ.) known! So, in faulted and intentional ignorance, and with presumptuous amoral arrogance, the Utah State Attorney General as their prosecution law and shield, The Utah State Social Services' DCFS, their colluded Medicine and benefited Utah's so-called "Family" Law, have together, plotted this administrative abomination and absolute insult to Honorable! medicine and legitimate law and judgment within their closed court confidences and their own persuaded Juvenile Court Judge's abuse of discretion -- by fully refusing the obvious family exonerating Carbon Monoxide poisoning evidence! never investigating, never researching nor doing any appropriate CO poison levels testing -- to heartlessly leave the innocent Thaxtons still indicted as parental "felons" in implicit "infanticide", and incarcerated as judicial and social "prisoners" with no-less-than 18 yrs of DCFS / PCMC / SHF / IHC / AG "house arrest" intrusion, interference and absolute dictatorial Medical and Social control based in vulgar bias-scewed, and at best, quasi diagnoses' -- as well as having all their family innocence and parental freedoms stripped, along with most of their future life liberties and hard earned income! -- add with the supplemental plundering of our public funds along with it! -- It certainly is not about the children's well-being -- or they would have carefully investigated this explicit toxic fumes endangerment! -- and motioned to prevent the surviving children's future asphyxiation potentials! -- But they, in demented mal-performance, greed and denial, have NOT! Now these collaborated accusatory players of Medicine -- after botching their initial diagnosis, covered in nonsense alchemy, procedures and prescription, with the enforcement powers of their Bureaucratic DCFS cronies, the AG and their "Legal" collaborators -- appear intent (just like their inane friends of the court Family "defense?" 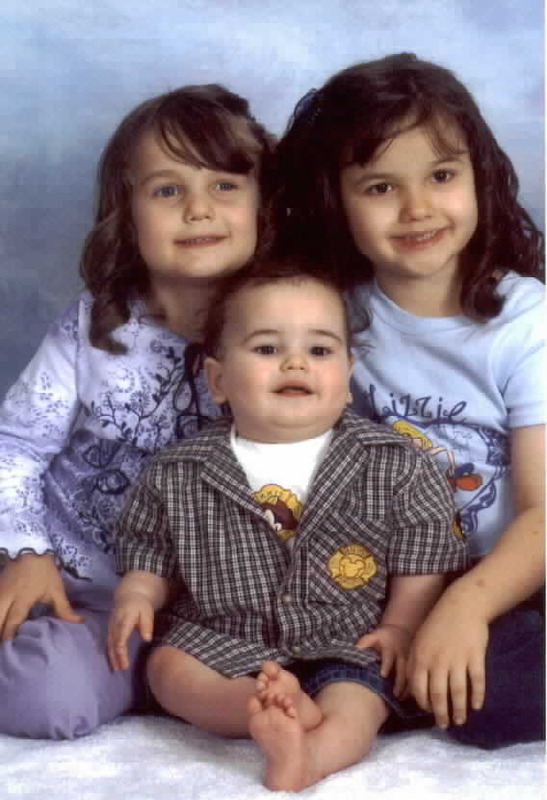 Lawyer(s), asked us to do to the furnace) on "melting down the evidence" -- that is, baby Matthew and his two sisters -- the children themselves! -- who, if could be examined by other honest Doctors, could convict these first practitioners of their biased incompetence and consequent maleficent medicine! Protected in their own manipulated court orders, this very same clique of practitioners that failed this family in the beginning -- commencing within a hate corrupted blundering of the postmortem and its two months after fact amendment to construe their first son, Dan Jr's cause of death and levy a "murder" charge upon the Thaxton couple -- then subsequently trigger the seizing of their next infant son Matthew in duplicated "I hate vegetarians" contempt, with misdirected, confused and fallacious diagnosis -- are now, with the family's options of second opinion blatantly denied (just like in the Parker Jensen case! ), forcing overmedication and animal tissues contaminates into Matthew and his two older otherwise healthy sisters, while, now tenuously returned Matthew, and his two sisters are presently permitted by the State to be in the "temporary" and "conditional" custody of the parents! Dr Lisa Samson-Fang of PCMC* / UUMC* Pediatrics -- in infant Matthew's brute separation, nutritional disruption (stripped from mothers breast milk) and misdiagnosis trauma, and resultant chronic constipation! 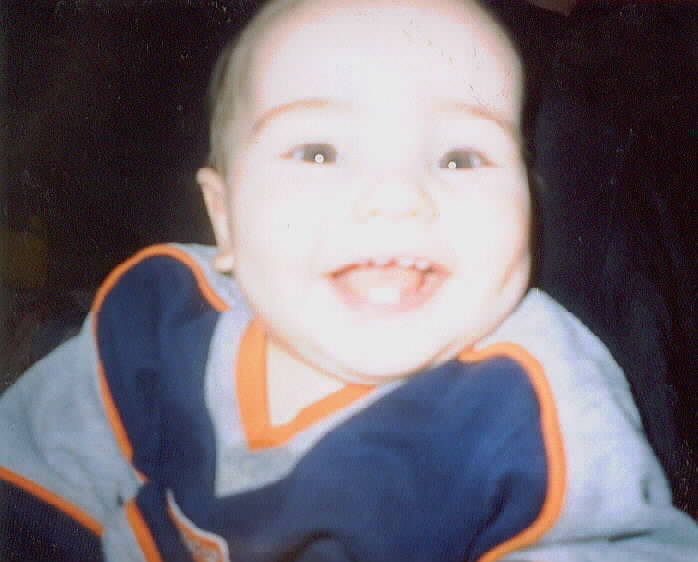 -- has had infant Matthew, for months (while in foster care), on an Adult Only prescribed laxative, Mirilax! Also both him and his sisters on 10 x RDA* Ferris Sulfate or equivalent, high dose [animal based] Cobalamin injections, and animal (antigen) fat compounded vitamins. It easily appears to us and others in environmental science, medicine, pediatrics and pharmacy, that these same original, now perfectly shielded as the Court Ordered, "only" medical provider's, really do not care to have the children to do well! -- They have never investigated the furnace violation and its additional potential harm for the child and his sisters in the (publicity pressured) return to temporary care of their parents!! Even better still, for salvaging these false accusers sullied reputations, repairing their public image and appearance of "professional credibility" they want to regain following the Parker Jensen case, and again in this case and to hide their own liabilities, it would look better to have the Thaxton children take seriously ill (or possibly die) in the (current, publicity provoked, temporary) care of the accused parents! Health failure of any one of the children in their temporarily granted parental care would be spun to justify, in the eyes of their client public, these accuser's loathe based, incompetently concluded diagnosis and treatments, precipitating in the conjured charges against these innocent, caring and fully forthright young Parents. Then DCFS, PCMC, SHF, UUMC, ME, could "bury" the entire Thaxton family in public contempt, and their pathetic bureaucratic, iatrogenic and legal mistakes with them, and never have to answer for them! -- like was conveniently done with their son Dan Jr. wherein the Assistant Medical Examiner, Maureen Frikke -- comfortably had his body released for burial in 24 hrs! Then two months later -- without the child's body as examinable refuting evidence -- she amended her report, which helped her colleague-friends (manipulated by the professions-connected adversarial family member) accuse and indict the young parents of intentional nutritional negligent! -- tantamount to murder! instead! if it were you, or your caring family, wrongly accused of one child's homicide, then following, made to lose, in the cruelest and most vicious of removal by the very doctors to whom you had desperately come for correct diagnoses and saving, another gasping, precious (still breast-feeding) infant son? Not only to have him dangerously mis-diagnosed and taken from you, but to also have your other children's threatened removal, along with your rights and your freedom to raise them in the best way you know as right! -- Then to helplessly also see them all dangerously (one near lethally) misdiagnosed, mistreated and drugged before your eyes -- all mandated by and in the hands of the very same collusion of hate-erred accusers and practitioners! This atrocity, right now, being committed against this innocent caring family, may be committed next, against you!! 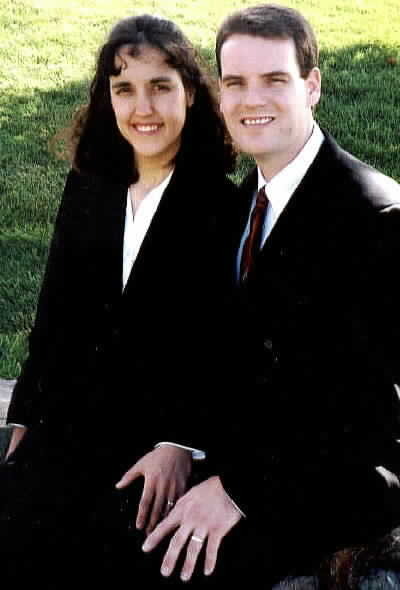 As the person that Carolee and Dan Thaxton and their supportive maternal Parents, Diane and (Community and World revered Tabernacle Organist) Clay Christiansen, turned to (just after their infant Matthew's DCFS removal, in June 2003), for documented scientific research, personal opinions, answers, and advocacy, I labored (without access, at that time, to any of their medical, police or court records,) to provided supportive facts in nutritional research data, which, to me and the family, was confusingly ignored by their (now understood as a) clearly prejudiced, personal agenda and professional (prosecution) relationships motivated, so-called "Family" Defense Lawyer! The research materials of The American Medical Association, American Dietetics Association, and CDC (Center for Disease Control) studies, supportive of the family's diet choices was twisted and denigrated by him and his friends of the AG, DCFS, PCMC, SHF (Lori D Frasier), UUMC (W Daniel Jackson) and Juvenile Court -- as they did likewise label, as "paid whores", the superior State Licensed medical experts committed (but were not brought in by the Thaxton's "Defense?" Attorney) for defending the family! Frustrated by the inadequate and prejudiced Defense Counsel and Juvenile Court system's now understood, DCFS and AG investigative incompetence and bias, and seeing the poorest action of law in their hearings, realizing no rational facts had come forward in the hearings over Dan's death and Matthew illness, and sensing their was something still missing in the knowledge for defense, I desperately began looking for all possible answers myself. I then had the Thaxtons and Christiansens sit endlessly long days the week thereafter in searching interview with me. Thankfully, by continuing own personal "diligence" in pursuing a detailed biological history of the family's recent life experiences, and in just simple listening, I finally detected in their verbal exchange, markers of subtle asphyxiation symptoms, not even obvious to themselves nor to others in their associations, including their medical providers, appearing and progressing from approximately 4 year prior -- beginning the same time they purchased and moved into their little starter home. Then finally, determining in our dialogue, their unexplained seasonal fall-through-spring lethargy and respiratory challenges, implicating a subtle "cold weather" related respiratory poisoning, I asked that I be taken to examine (for the first time actually seeing their home) their living environment (in mid August 2003)! Immediately, I identified the furnace exhaust installation violation (extant in their modest older starter home, trustingly purchased by this young couple family 4 yrs prior), that subsequently proved itself (in my own and other certified experts testing) as lethal! I immediately located and secured the State, Region and Nation's best expert(s) on Carbon Monoxide testing and poisoning; and in reviewing the obvious physical and medical data, they comfortably confirmed our findings! Well, that was an easy given, seeing and knowing the immutable facts, that only an abjectly ignorant or totally blind woman or man could not see and comprehend! But the AG, PCMC, DCFS and their Judge still refuse! They obviously prefer pseudo-litigation based upon hatefully conjured assertions and accusation, inept investigation, and upon a stupid, yet, for all collaborates, a sweetly lucrative lie! 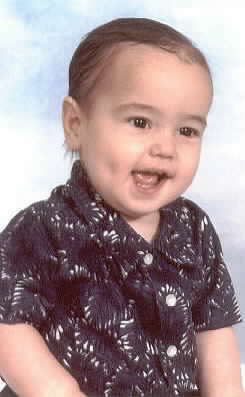 Now, in 11 months of life and resource consuming dedication, I have labored in respect and caring dedication (without pay), for this wrongly accused and viciously violated family, for their narrowly surviving, Utah State Social Services and Medicine misdiagnosed and mis-treated child, precious little Matthew, his equally family valued, adorable and intelligent two sisters! And to give them corrected and comforting understanding, innocence and final peace in the loss of their now little guardian angel, Dan Jr! Feeling that little Thaxton angel's anxious encouragement and his loving concern for his wronged mother and father, and his, left still endangered, brother and sisters, I have focused all my labor since June of last year to do diligence and final discovery of the precise truth; then disclose, publish, influence and advocate, to exonerate, securing the best local, regional and national experts, educating everyone, the press and media, and have "citizen lobbied" our Legislators, spending 35 of the 45 legislative session days at the Capitol, without help (so we lost my home's heat and hot water until spring and phone service for days, more than once, as well -- thankfully my wife was visiting my daughter in warmer Vancouver while I and my son "winter camped" inside our own house), as I continued to testify in Legislative committees and aggressively labored to educate all Utah State Legislators, then phoned, mailed, and conferenced to informed each of our Utah State Federal Congressmen in DC! This horror has ravaged the Thaxtons and their supportive Christiansen family, and driven them together into over $45,000 of debt, all wasted in their useless defense law and in the error based demands constantly put upon them within the bogus charges and its consequent fallacious medicine, and nonsensical psychiatry (and speech therapy -- for a toddler???) now perpetually forced upon them by DCFS, the AG, their Court and their confederate SHF, PCMC and UUMC practitioners. These family's could now easily lose both their homes. Yet this expensive-to-them (and taxpayer robbing of us) ignorantly pathetic lie continues! And the true baby killers and harmers are still left blameless, without liability and free! 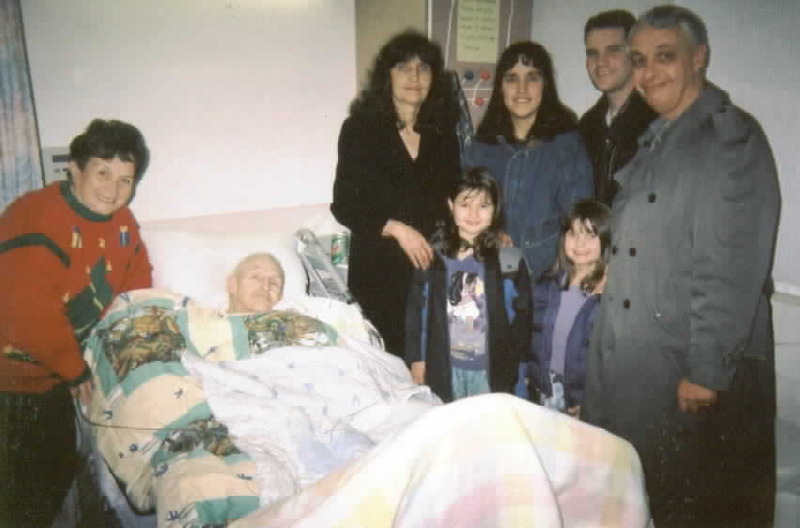 If my Father, even in his last moments, cared enough to assist from his hospital bed this wronged family in his painful efforts, then so can all of us, who are well, do more. In understanding and sharing this story, by exposing it with all you know, with your and their influence and now our critical pending power of the November vote, we must effect the necessary ceasing of these immoral actions and cavalier behavior of DCFS, Medicine, the State and Law and bring redress for scores of other wronged families, along with correction for the Thaxtons and their precious children, and their sacrificing Christiansen Grandparents; and free them from their false accusations oppression and error based medical entrapment horror! -- and its economic wreckage, even demanded of us as the tax-paying society! We must provoke more correcting changes, in legislation and bureaucratic policy, to make it so other families, likewise wronged, can have redress and repair, and that this cannot easily happen unchecked again to others -- including those families you may love, your children or you! There is more to do to change minds, laws and policies, and exonerate this family and protect their children from this wrong -- and hundreds more like them! -- including possibly your own. So I, the Thaxtons and their maternal family of the Christiansens plead for your help! Effectively all Politicians and Community leaders in this state and our Congressmen and potential Candidates have learned of or are all learning of this case (see contact links on web page); at least as best is possible through my own personal contact and challenge, and as far as my gasoline, phone, pen and web can get me. -- ALL of them MUST be put upon by YOU to answer as to WHAT THEY are DOING to remedy, first, the Federal Government's senseless engine of quotas and perverse funding (with our taxes), then the flawed State Laws, written without sufficient checks, balance or brakes, and the State's matching funds (our taxes again), which recklessly enables the mindless "Baby Abduction" vehicle of a self-policing, self-policy-setting, DCFS, with its compliment of "so-called" Family Practice Lawyers, serving primarily as "processing" friends of the court, along with their collaboratory beneficiaries in Medicine, Psychiatry, Social Service Foster Providers (home orphanages), Child Placement and Adoption Businesses! -- all heartlessly accosting, separating and "killing forever," too many other truly innocent families and their children! -- like these fumes-harmed Thaxton children, who were medically failed, then violated by their very same prejudiced-misguilded doctors and untouchable accusers, with even their own Family-Law defense Lawyers betraying these trusting, loving young parents! -- then all the accusers and accomplices, in flawed and servile State and Federal legislation, are allowed to collaborate in conference and hide themselves in no-fault immunity, behind their, without public scrutiny or monitoring, closed-court impunity protection! you can help us, and others with us, stop this travesty of DCFS, Medicine and Law's arrogance-above-competence immorality, fostered firmly in the perverse incentives of Federal quotas and unbridled Public funding (our tax money) providing for the shameless profits for removing of infants and children, without true cause, dismembering and destroying many innocent families, and all of their children, over assisting and maintaining families and children as whole (which is the best for inter-personal relationships growth and social success modeling for all children)! -- and to stop, when caught in their unprofessional errors, as has happened here, these errant players and physicians of having the privilege of skulking behind the State Attorney General, and his flanked in equal cowardice, the kinship-carnage parental-prosecution feeding Family Defense Law -- and all taking refuge for their hurtful errors or malicious mistakes inside flawed Federal and State Legislation, responsibility-buck-passing Child Protection? "Departmental Policies", and their self litigated immunity in the privy chambers of their truth and justice occluded Juvenile Court! while too many children and families drug there-through, suffer! and are left to psychologically "die"! Edit #10+MRedit early 5/29/04 Utah mother (& husband) from Honored Family accused of ?Negligent Infanticide? I have tried to prepare a one hit presentation of this story to send broadly and provoke action and resolution! I have struggled with this long, but in the mean time this young family continues to be left criminally charged and un-restored to whole and innocent, so I plea for your help through immediately action! To editing copy of this Letter (in progress) "LetterEdited.htm"
After testifying in legislative committees, author has been asked to run for State Senate Please help him fix this atrocity! . . Please mail this link - and print this Letter above to Share!